Steve and Nance welcome you to their spacious 6 acres of holiday heaven. Located just 2.5 kilometers from the centre of Lakes Entrance, close to the Golf Course and Eastern Beach, you will be perfectly situated for pleasent ocean walks, or a stroll into Lakes with its many resturants and activities. 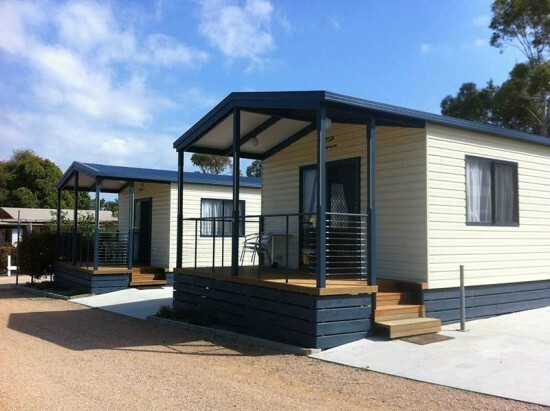 2br Family Cabins, Ensuite Cabins, Powered and Unpowered Sites, Games Room, Swimming Pool, Kids Play Ground and more.